Saint Patrick’s Day is coming up so I decided to make some minty, chocolatey, shamrocky cookies for the monthly Fill the Cookie Jar! 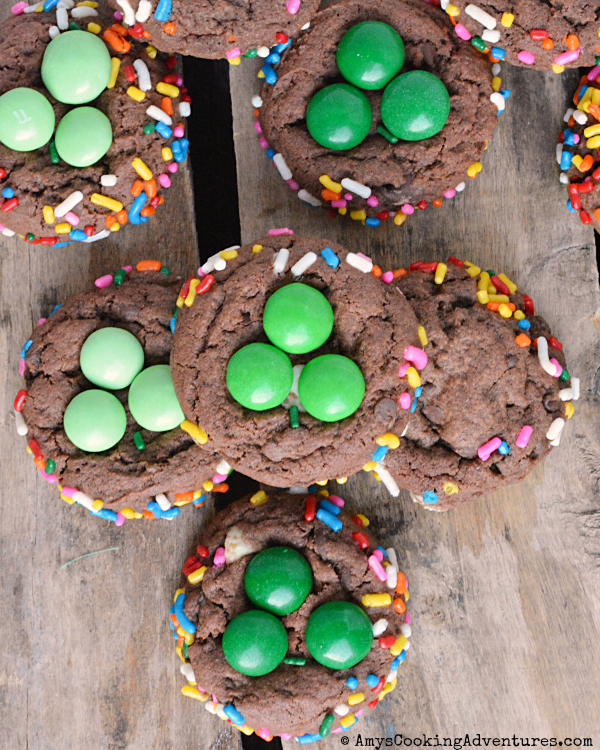 I slightly modified my favorite pudding cookie recipe – I added some mint – and sprinkles – and cutesy little shamrocks! The best news is, these cookies are as easy & delicious as they look! Use a large spoon to stir in the mini chocolate chips and mint chocolate chips. Pour the sprinkles onto a shallow bowl or plate. Bake the cookies for 10-12 minutes or until the cookies are set. 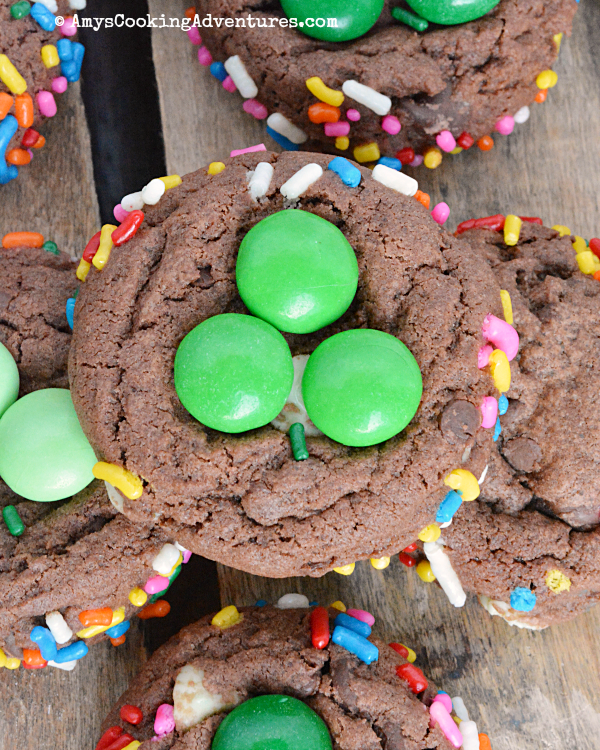 Immediately after removing from the oven, press the mint M&Ms onto each cookie in the shape of a shamrock. Cool on wire racks and store in a tightly sealed container. I love these cookies! Using rainbow sprinkles is so cute and clever! My son would adore these with the chocolate and mint and sprinkles and M&Ms. Chocolate and mint together are my favorite. Your cookies look delicious! Chocolate and Mint go so great together! These are so cute and colourful.. 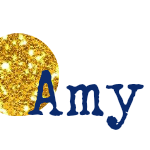 I love how you made the shamrocks and the sprinkles add a wonderful touch. Great cookie to start the spring or make for St Patrick's day. How cute and festive for St. Patrick's Day.